Original D&D Set (6th Printing) Sells for Over $8000! The largest donor was a small private foundation. They paid one of out bills completely and got the OD&D materials for this years charity auction. The theme for the auction was “20th Century Rarities.” This wasn’t the type of auction you have at ebay or at an estate sale, but what happens when you have a group of wealthy people vying to donate money to a cause they believe in. In other words, the people bidding aren’t really interested in owning the item for it’s value, it’s just a fun way to donate a lot of money to a good cause. I got an email from my contact at this foundation last night telling me the OD&D materials I gave them raised $8200 for them. Given that they have less than 1% overhead, that means about $8100 that they will use to help more people like my wife and myself. The D&D items I gave them actually raised more money for them than the bill they paid for us which I think is really neat. This was far from the largest “sale” at their annual auction last weekend. They raised over $250,000 from the sale of 18 items. BTW, we are still accepting donations in any amount to help us pay the huge bills from my wife’s oral cancer. 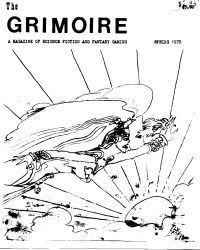 While I don’t have any more OD&D sets to offer, everyone who donates gets our Donor-only old school PDFs: you’ll get pdf copies of the two issues of The Grimoire I published in the late 1970s (which I blogged about here: The Grimoire #1 and The Grimoire #2 a copy of The Second Grimoire of Pharesm the Bright-Eyed, a set of house rules for a BECMI campaign I ran at a game shop in the mid-1980s, and a copy of Microlite74 2.0 Special Digest-Sized Edition. You can donate by clicking the Paypal button below or via this link: Retro-Roleplaying Cancer Fund. Thanks in advance for any donations, they will make the holiday season here less stressful. There's a guy selling OD&D with all supplements on eBay. He asks $3000 as starting bid! Yes indeed. I think I know why it's been listed for weeks without anyone bidding. I felt bad just thinking about you and your wife with those bills. You are in my prayers. 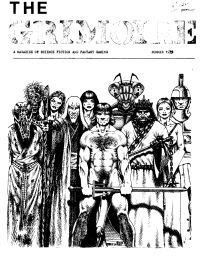 If his OD&D and supplements are ALL first printings and in like new condition, he might be able to get that much for them — with luck and in a good economy. Now? I doubt it — and not with a starting bid of $3000! Those 6th printing LBB booklets I had were probably worth about $100 to $150. The supplements probably around $40-50 each. Someone got a $7800 or so tax writeoff for their charity bid. THank you very much for your prayers! To stay cancer-free (as she was a month ago at 18 months after the end of radiation treatment), she will need all the help she can get. We have are fingers crossed.